Today's #MusicianMonday features a new member of our bass section, Sharif Ibrahim. Sharif is joining us on a one-year contract. He sent us this introduction. Welcome, Sharif! 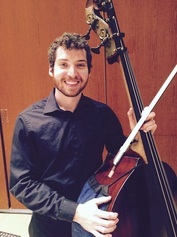 "My name is Sharif Ibrahim and I will be joining the Atlanta Symphony Orchestra's bass section starting this Fall. Before joining, I was in the last year of my Undergraduate degree at the Jacobs School of Music in my home state of Indiana. The ASO has a strong tradition of IU-trained bass players, and I'm proud to be the latest alumni to represent Indiana in the section. Apart from playing in the orchestra, I enjoy practicing and performing different music including Jazz, R&B and Blues. I'm looking forward to several performances this year, along with exploring many of the restaurants and bars in Atlanta." Our percussion section is gaining two new faces this fall--today we're introducing new principal percussionist Joe Petrasek for #MusicianMonday. Welcome, Joe! "My name is Joe Petrasek and I'm very happy to be joining the Atlanta Symphony Orchestra in the fall as Principal Percussion! I'm coming to Atlanta after 8 seasons as Associate Principal Percussion in the Kansas City Symphony. Before that, I studied percussion at UCLA and Temple University, and spent one year in the New World Symphony. Coming with me is my wife, Jessica (a fantastic flutist), and our two cats. In my spare time, I enjoy playing duo recitals with Jessica, and playing jazz drum set. 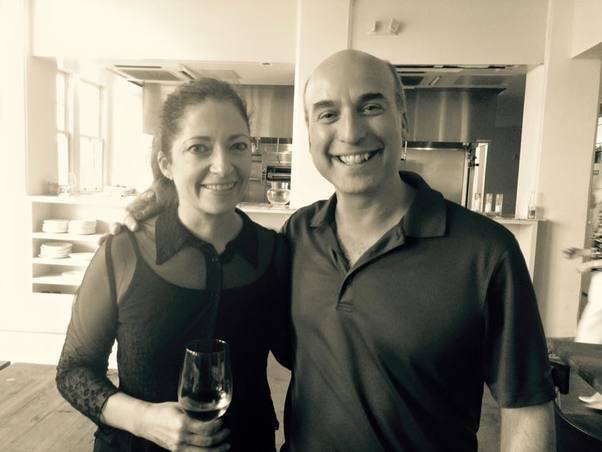 Jessica and I love cooking and are looking forward to exploring the restaurant scene in Atlanta! Thanks for the warm welcome and I look forward to a lot of great music making next season!" Our #MusicianMonday feature this week is our new percussionist Michael Stubbart, who is joining us on a one year contract. Michael might be a familiar face to some of our more eagle-eyed audience members. Welcome, Michael! "My name is Michael Stubbart, and I'm stoked to be joining the ASO for a one-year position as Section Percussion this fall! I will be moving from Honolulu, Hawai'i, where I have served as Acting Principal Percussion with the Hawai'i Symphony for the last two seasons. While performing a full season of orchestral programs and operas in Honolulu, I was able to come to Atlanta several times as a substitute percussionist with the ASO for memorable concerts of Mahler, Prokofiev, and Adams. In addition to my job in Hawai'i and freelance work with the ASO, I've performed as a substitute percussionist with the Cleveland Orchestra and Houston Symphony Orchestra, and as a timpanist with the Blossom Festival Orchestra and the West Virginia Symphony Orchestra. I also spent one and a half seasons residing in Atlanta freelancing, teaching, and occasionally playing extra percussion with the ASO after completing my undergrad at the Cleveland Institute of Music, and before starting my master's at Rice. I was born and raised in suburban Atlanta and was inspired in late high school by the ASO's exciting performances and commitment to new music and eclectic repertoire. When not practicing and working, I enjoy hiking, reading and checking out the Criterion Collection and other films. I'm also looking forward to jumpstarting my dormant cycling habit with a few outings in North Georgia on a road bike! As a passionate eater, I can't wait to get back out on Buford highway and dig into Atlanta's great farmer's markets." ​We are featuring violinist Sissi Yuqing Zhang, who will be joining our first violin section, for today's #MusicianMonday. Welcome to Atlanta, Sissi! "My name is Sissi Yuqing Zhang and I will be joining the section first violin of Atlanta Symphony in the fall. I studied six years at The Juilliard School and one brief year at Yale School of Music. Apart from being a serious violinist, I am an enthusiastic traveler and passionate about experiencing new cultures and cuisines. Luckily enough, being a musician enables me to go to many cool places in the world, such as Hobbiton in New Zealand! Sissi is my nickname in English, as you can probably guess that I am neither German nor Austrian. However it is very close to my nickname in Chinese (Xixi) which my family has called me from a very young age. I grew up in a small town near Shanghai and before my family moved to Shanghai when I was ten, nobody in my family had ever been to a classical concert or had been fluent in English. But we have always loved watching American movies and my parents owned a calendar featuring Vivian Leigh from Gone with the Wind. When I was old enough to read the book, I fell in love with the story and its location, Atlanta. Never did the ten year old girl dream of moving to the land that Scarlett had once lived in the book and now I am going to make my own version of the adventures in Atlanta with the fantastic Atlanta Symphony and many of my wonderful colleagues!" ​Our second installment of #MusicianMonday features new associate principal bassoonist, Anthony Georgeson. Welcome to Atlanta, Anthony! "My name is Anthony Georgeson and I am thrilled to be joining the Atlanta Symphony Orchestra as your new Associate Principal Bassoonist! I'm coming to Atlanta from The Florida Orchestra where I was principal bassoonist for ten years. Before that I was in the New World Symphony and Wisconsin Chamber Orchestra, and during the winter and spring season of 2016 performed as guest assistant principal bassoonist of The Cleveland Orchestra, with whom I also had the pleasure of performing in many of the great European concert halls in the summer/fall of 2014. My wife Erin and I come from Madison, Wisconsin--we have a deep love for that city and its cheese, beer, and college football (GO Badgers!). After meeting, going to school, and getting married in Madison, we moved to New York where I attended The Juilliard School while Erin worked for Columbia University's Early Headstart program in Harlem. Although I'm not at all athletically inclined, I have also taken up running as a hobby. I have managed to complete two full marathons and many half marathons, and have catalogued this almost decade long journey co-hosting the podcast “Two Gomers Run for Their Lives” found on iTunes and at twogomers.com. Over our many years in Florida we drove home to Wisconsin through ATL dozens of times, not knowing that it would one day be our future home! This is a very exciting relocation for us because our daughter Lilianna (5) is starting Kindergarten here, Erin got a job teaching at a great public school, and Isla (1) is starting at a wonderful new daycare. We have already begun enjoying the nature trails here and many of the parks, found a great local church (Passion City Church), and are looking forward to exploring some of the amazing food we have heard ATL has to offer." ​This season we are welcoming six new musicians to the Atlanta Symphony. 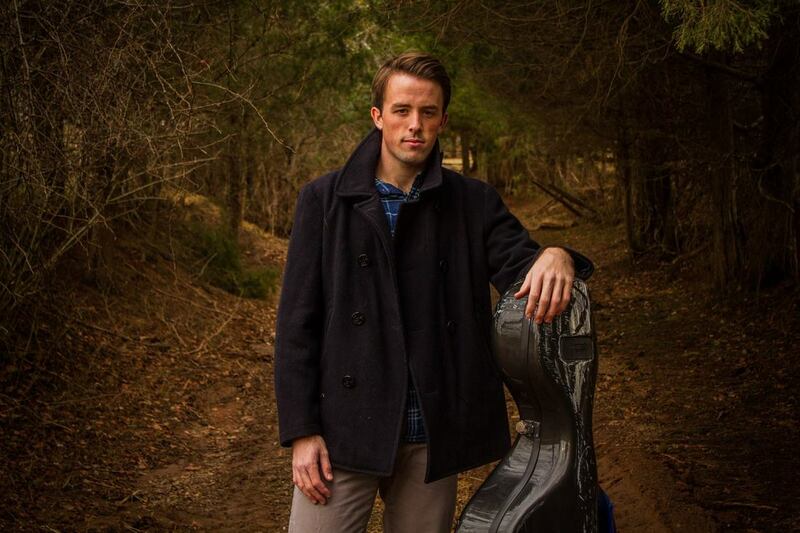 We're kicking off our series on these new faces with cellist Tommy Carpenter. Welcome to Atlanta! "My name is Thomas Carpenter and I am very honored to be joining the Atlanta Symphony Orchestra! I am coming from the New World Symphony in Miami Beach, where I spent the last two years. I was born in Maryland but grew up in Charlottesville, Virginia as the middle of three brothers. We lived near the grounds of UVA but we also had a family farm nearby. I completed my undergraduate degree in Cleveland at the Cleveland Institute of Music and received my Master's degree at Rice at the Shepherd School of Music. I have had the opportunity to spend summers at festivals in the Berkshires, Breckenridge, the U.K., and Italy. In my free time I love to be outdoors. I spent a lot of time growing up playing sports, so my favorite pastime is to play soccer as well as swimming. I am also an avid golfer so I'm looking forward to exploring the multitude of courses Atlanta has to offer. In addition, I love to cook and enjoy expanding my palate by trying food from different cultures. Thank you so much for your warm welcome to the Atlanta Symphony! I feel so excited to be joining such an amazing group of musicians and people." Most musicians in the Atlanta Symphony are not originally from Georgia. We have musicians from around the country, and many immigrants from around the globe who have moved here to work for this great orchestra. Today we're featuring one of those immigrant musicians, violist Yiyin Li. Click through to read about Yiyin's experience moving to the United States. Prior to moving to Atlanta, I was with the Milwaukee Symphony for several years. Prior to that, I lived in Boston while attending the New England Conservatory. I got an opportunity to audition here in Atlanta and was lucky enough to become a member of the Atlanta Symphony. Where are you from & how is it different than U.S.? I am from the city of Kaifeng, China. Life in China is very different than here in the U.S. First, family relationships are structured very differently than here in the U.S. Parenting styles are different and priorities for children and family are different. Moving here challenged me to think about my upbringing versus this new culture I had been immersed into. It was initially difficult for me to understand how some of the systems work here. Learning to deal with utilities, car insurance, health insurance, and driving each were unique challenges completely foreign to me. These day-to-day tasks are very different in China and learning them was an important part of settling in when I moved here. More than anything, I miss the food. It brings me so much comfort and reminds me of home that I often find myself wanting authentic Chinese food. I was surprised when I moved to Atlanta to find there were so many restaurant options compared to Milwaukee. I often go to Buford Highway and the Duluth area to find authentic Chinese food. I can call or write friends and family, but there is no substitute for an authentic meal. What did you find difficult about moving to the U.S.? Language connects us to the world around us. It makes it easier to make friends and to negotiate the day-to-day life we face. Before moving to the U.S., I barely spoke any English. This made it difficult for me to establish a friend group and I felt very isolated my first year in the U.S. Learning the English language became very important to my development and I have improved a lot over the past decade. For a few years, I took daily English lessons and worked hard to become proficient. Still though, I sometimes find it difficult to communicate with people. Aside from the difficulties with language, I have also found it difficult to navigate the U.S. immigration system. I have been working under a work Visa here in the U.S. since my arrival almost a decade ago. I want to apply for green card but what I heard the process is long, expensive, and not guaranteed. It is something that I have to deal with today. The uncertainty about what will happen continuously weighs on me and my future is dependent on the decision of my application. What do you love most about your work with the ASO? I think our work at the ASO is important to keeping the arts alive in Atlanta. I feel privileged to be able to contribute, even in a small way, to making sure the classical music scene remains vibrant in Atlanta. I feel lucky to work with a group of artists as talented as my fellow ASO orchestra members. Their passion for the music pushes me to be a better musician. The ASO shows the American spirit by succeeding in the face of diversity and struggle. We’ve overcome the challenges of the past few years and I think the orchestra is better for it. I love the warm weather of Atlanta and the vibrant city around us. Every week I learn something new about the city or go somewhere new. It’s a diverse city and I get to work with amazing people every day. Today's #MusicianMonday (11/14/2016) features our newest colleague, piccolo player Gina Hughes, pictured here with our principal flutist, Christina Smith. Gina will be helping us out through the month of November, and then moving to Atlanta full time in January. She sent us this note to introduce herself. Welcome, Gina! 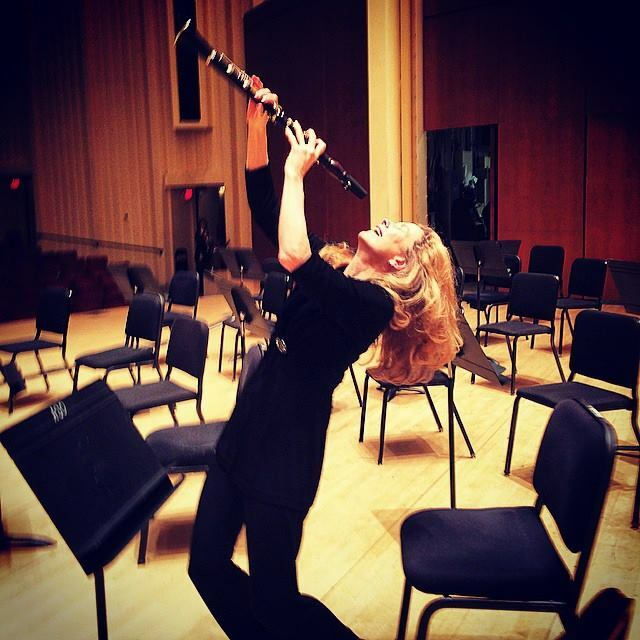 "I'm Gina Hughes and I am the Atlanta Symphony's new piccolo player. I'm moving to Atlanta from Houston, where I graduated from Rice with my masters and played with the Houston Symphony for two years. Though I am sad to leave dear friends and students, I am so thrilled to join the Atlanta Symphony and begin a new chapter in my life. I was born and raised in Orange County, CA and moved away as a college student to New York City to attend the Manhattan School of Music. This is where I met my husband, who is a wonderful bassoonist and band director. His sister and her family live in Atlanta and we are very excited to be near each other. In my spare time, I enjoy sewing my own clothes and quilting, which are skills I picked up two years ago from YouTube tutorials. I'm planning to make myself some new concert attire in the near future. I also enjoy cooking and trying new foods from diverse cuisines, though Korean food will always be my ultimate comfort food. Thank you for the warm welcome to the Atlanta Symphony! I am so thankful to be here and look forward to an exciting season of great music with great people!" "My name is Madeline Sharp, and I’m excited to be joining the Atlanta Symphony Orchestra for this season! I am coming to Atlanta from the New World Symphony in Miami Beach. I grew up in Wilmette, a northern suburb of Chicago, and then moved to New York City to attend Juilliard, where I earned both my Bachelor and Master’s degrees. I’ve had the opportunity to spend summers at music festivals in Taos, NM, the Berkshires, Santa Barbara, Charleston, SC, and Scheswig-Holstein Germany. For the past few summers, I have been a member of the Cabrillo Festival of Contemporary Music, where only music of living composers is performed for two weeks. This is also where I met many of my fellow ASO members, including Joe McFadden, Brad Ritchie, Jaclyn Rainey, Jessica Oudin, and Justin Bruns. As a relative newcomer to cycling, I am excited to find new paths and challenge myself to the hills of Atlanta! I also enjoy yoga, cooking, baking, finding new favorite restaurants, and traveling to visit friends. I am a lifelong Chicago Cubs fan, and love going to games with my family! I am excited to be among great musicians and colleagues, and look forward to many memorable concerts!" We have some sad news and some happy news. This week we are saying a fond farewell to our Principal Librarian Rebecca Beavers who is leaving to head up the library at the Naples Philharmonic in Naples, FL. Rebecca has been a constant ray of sunshine in this organization for the past nine seasons, and a killer librarian to boot. On the happy side of things, we are excited that our current Assistant Principal Librarian, Nicole Jordan, was chosen in a national audition to replace Rebecca as Principal Librarian. Congratulations to Nicole, and Rebecca, you will be sorely missed! "My name is Marci Gurnow and I will be joining the Atlanta Symphony as the new second clarinetist in September. I was raised in Marietta and I am excited to move back to Atlanta and play with my hometown orchestra! "I spent this past season as acting second clarinetist with the Detroit Symphony. Prior to that, I was the second and bass clarinetist of the Jacksonville Symphony, a position I held since 2006. I earned my bachelor's degree from Southern Methodist University and my master's degree from Northwestern University (with ASO bass clarinetist Alcides Rodriguez!). While this will be my first season in the ASO, I have gotten to perform with many members of the wind section already as part of the Bellingham Festival of Music in Bellingham, WA in the summers. "As I mentioned, I grew up around here and most of my family is still in the area. I graduated from Lassiter High School and my brother Mark is now a band director at Allatoona High School in the same county! I studied with Laura Ardan, the ASO's principal clarinet, during my junior and senior years of high school as well as being a member of the ASYO. To be playing next to her twenty years later is a dream come true! "I'm very excited about this season (especially the Mahler programs because I am a Mahler fanatic!) with my new colleagues. It will be fun to see how Atlanta has changed since I've been gone and I look forward to discovering the city's food and craft beer scene and exploring new running routes!" Yesterday, June 12, 2016 we celebrated the end of a successful season, and we also honored our musicians with 25 years of service to the ASO. Congratulations to Principal Flutist Christina Smith and Associate Principal Cellist Danny Laufer on reaching this milestone, and thank you for your dedication, collegiality and musicianship. We count ourselves lucky to work with you. Cheers! We are deeply saddened to report that bassist Jane Little passed away earlier this evening, May 15, 2016. 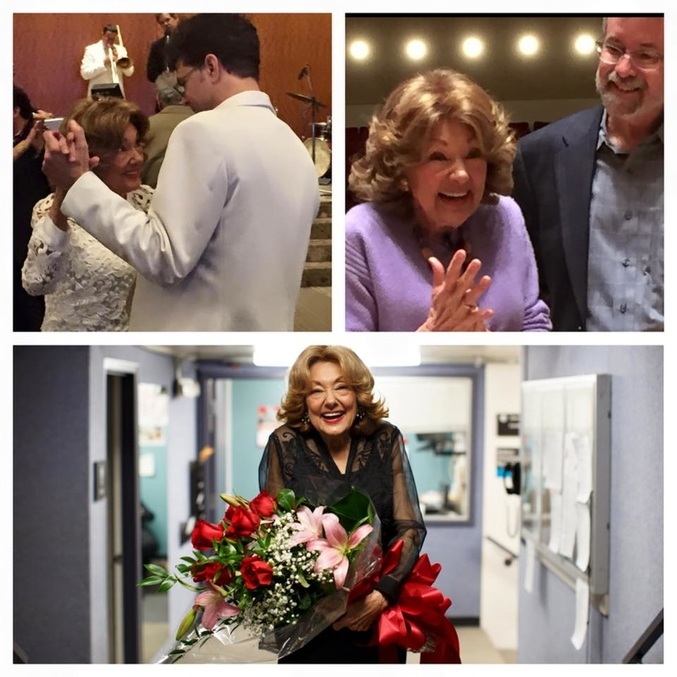 She was a gem, a firecracker, and a pioneer for women in American symphony orchestras, and will be sorely missed. Rest in peace, Jane. 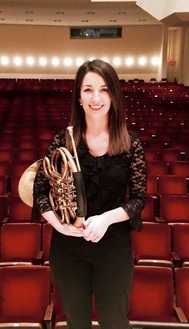 Our most recent new musician is third horn player Jaclyn Rainey. For #MusicianMonday, she sent us this to introduce herself. "Hello, my name is Jaclyn Rainey and I recently won the audition for third horn in the ASO. You won't notice a new face in the group as I've been playing with the ASO since 2014 after winning an audition for a one-year position. My dog Fred (an 8 year old Gordon Setter) and I have been here ever since. Before coming to Atlanta, I had positions as Principal horn in the Naples Philharmonic as well as Associate Principal with the Louisiana Philharmonic. During my time in Louisiana I shared a house with the ASO's new principal bassoon, Andrew Brady. We had become friends the year before while we were both performing at the Tanglewood Music Center, along with ASO principal trumpet, Stuart Stephenson. It's such a wonderful coincidence that we all ended up in the same place! I received my undergraduate degree at the Eastman School of Music and my master's degree from the New England Conservatory in Boston. I am originally from Louisville KY and am very happy to be able to have such a wonderful job and also be so close to home. I've really enjoyed living in Atlanta the past two years and have loved getting to play in such a wonderful orchestra. I'm even more excited to be an official member of the ASO!" ​We are heartbroken to report that we lost our dear friend and colleague, piccolo player Carl Hall, last night, February 2nd, 2016. Carl was a bright spot in the orchestra for over 30 years. He will be sorely missed. "Hello, my name is Daniel Tosky, and I’m thrilled to be joining the ASO later this month. I’ll be coming from Miami Beach, FL where I am a member of the New World Symphony. I’ve already worked a couple of weeks with the orchestra (for my trial and as substitute), and I have to say that I instantly felt at home. I can’t wait to meet more members of the group and to get to know everyone. I grew up in North Carolina, so it’s going to be great to return to the Southeastern US and be near my family once again. It might take me a while to get around to pulling for the Falcons though (go Panthers!). It’s going to be exciting to explore a new city, finding some bike-friendly roads and places to grab a good beer. It's a very exciting time here at the ASO--we have yet another new musician to introduce to you. 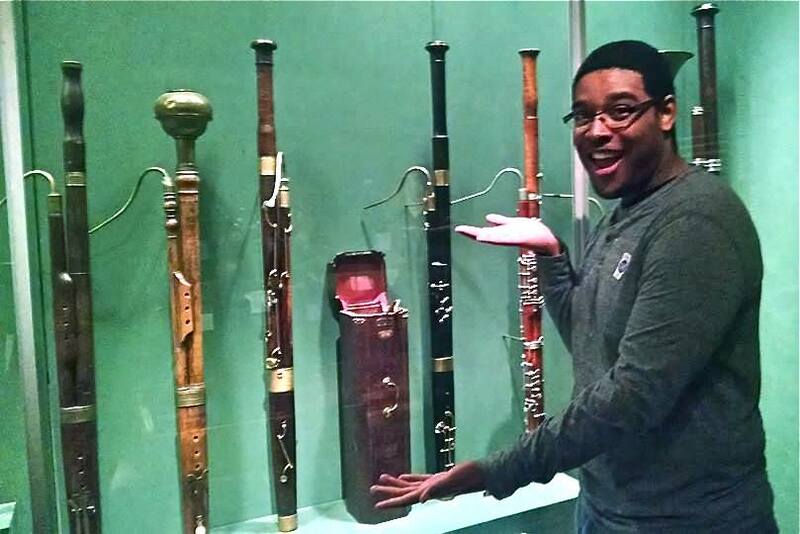 Please help us welcome Andrew Brady, our new principal bassoonist, with today's ‪#‎MusicianMonday‬! "My name is Andrew Brady, and I’m very excited to be joining the Atlanta Symphony as the new principal bassoonist in January! I played three programs with the ASO for my trial weeks in November, and it is such an extraordinary group. I’m looking forward to digging in as soon as I get to Atlanta. I’ll be starting with Brahms 3, one of my favorite pieces! "For the past two and a half years I’ve served as principal bassoonist with the Louisiana Philharmonic. I came to New Orleans after receiving my Bachelors of Music from the Colburn School Conservatory of Music in Los Angeles. I was so fortunate to win the spot in the LPO the week of graduation; playing an audition, taking final exams, graduating, giving a recital, and moving in one week leads to lots of sleep deprivation! "I’m originally from Johnson City, TN, so I was very glad to be closer to home when I came to New Orleans. Now that I’ll be in Atlanta, it’s even closer to family! My mom will definitely be happy to see her “grandcats” more. I have two Blue Point Siamese cats named CeeCee Pawtoli (after Cecilia Bartoli, famous Italian mezzo soprano) and Roux Pawl (I love puns! My goal is to adopt a tuxedo cat and name him Clawdio Appawdo). CeeCee and Roux are pretty lazy most of the time, but when I break out the sopranino recorder they scramble away immediately. I haven’t had much time to play recorder recently with all the travel I’ve been doing, but it’s my newfound main hobby. I currently own a sopranino, three sopranos, two altos, and a tenor. I’m looking to buy a bass once I’ve gotten settled in Atlanta. I love Baroque music, and recorder provides me an escape from the toils of slaving over a reed desk. Hopefully my new neighbors won’t mind!" Help us to welcome the newest hire, bassist, Karl Fenner! He sent us this introduction for ‪#‎MusicianMonday‬ this week. "Hello everyone! Nice to meet you. My name is Karl Fenner, the newest member of the Atlanta Symphony bass section. 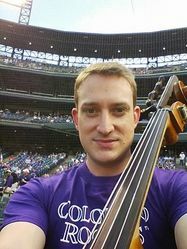 I am joining you from Denver, CO, where I have been a member of the Colorado Symphony for 8 years. I cannot tell you how thrilled I am to be joining you! When I first joined the Colorado Symphony, it was upon my 5th professional audition. The Atlanta Symphony was my 21st. It is the culmination of years of dedication. I have continued to strive for higher achievements since entering this career, and I look forward to bringing that same commitment to my musicianship as a musician of the Atlanta Symphony. "I started bass when I was 11 years old. I was fortunate enough to attend a junior high which had a performing arts concentration. Having played the piano for two years I was yearning to learn something new. Everybody wanted to play the violin and cello, so being a child who was uninterested in following everyone else, I ruled those out. A few children were coaxed into playing viola on the grounds of "hey look. It's just a bigger violin." The bass being a "big cello" did not however coax the would be cello enthusiasts into playing the bass. So, that left just me and this bass lying by it's lonesome. So, I thought we could be friends, and we haven't parted since. "I have had the great fortune of playing with the Atlanta Symphony for a few weeks this fall. I love the people I will be working with and the working environment that they nurture. It's a small world, and so I have some old friends in the Atlanta Symphony, but I've also made new ones too. I have had the chance to see a good bit of the city too, and I can't wait to move and officially begin in January!" "I am of course very excited about moving to Atlanta to join a great orchestra, but also to escape some harsh winters! 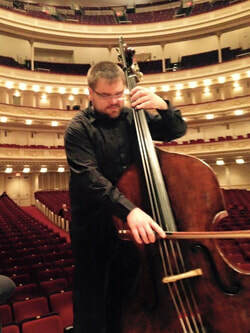 I've been playing principal bass in the Rochester Philharmonic in upstate NY for the past 7 years. It is a great orchestra too, but the winters get a little crazy from time to time! The ASO is truly a world class ensemble, and I am thrilled about sharing the stage with amazing musicians and conductors. When I'm not playing great orchestral music, I am often times found jamming with various bands. I love to play electric bass, and I am a huge fan of jazz and blues. In Rochester, I play with a Jethro Tull tribute band, two jazzy blues groups, and a funky reggae infused jam band. I'm looking forward to starting some new projects in Atlanta. In my non musical life, I'm also a golf aficionado, and I've heard Georgia is a pretty nice state for golf- looking forward to nearly year round golfing!" "I cannot believe that twenty five years have passed in such a flash. The Atlanta Symphony and its members have become family to me over these last two and half decades. It is true when they say that time flies when your in good company and having a fun time doing what you love to do. I hope the next twenty five years hold more fond memories for me to cherish and carry with me for the rest of my life. Thank you to each and every one of you!" "I will miss many things about being a member of the Atlanta Symphony Orchestra. I have a deep love and respect for the extremely high level of music making that this orchestra is capable of--I get to hear it every day. It has challenged me, and made me grow as a musician, and I love that. As far as memories go, I remember our two European tours, first in 1988, where we played Beethoven's 9th symphony in East Berlin, and then in 1991, playing in London, Paris, and in the Musikverein in Vienna. I remember Carnegie Hall concerts, including Schubert's 9th symphony with Robert Shaw, and more recently, Copland's Appalachian Spring with Robert Spano. I remember Mahler's 2nd symphony in Symphony Hall here in Atlanta, where after a particularly angry fist-shaking moment in the piece, a member of the audience let out a whoop, sending a ripple of laughter through the rest of the audience. I will treasure these memories most of all--of the people in the orchestra, and the music we brought to life together." We have a slightly different take on #MusicianMonday this week. We're pleased to announce that Stuart Stephenson, our principal trumpet, and Anastasia Agapova, a member of our first violin section, were both granted tenure last week. The first year and a half after a musician joins the ASO, they are considered "probationary" members of the orchestra. During this time, they go through three progress review meetings where the music director discusses what he and a panel of their colleagues think they need to improve upon in their playing. If a musician doesn't turn out to be a good fit in the orchestra, their contract is terminated at the end of the second year. Needless to say, it's a stressful ordeal, and getting over that last hurdle and being granted tenure is something to celebrate. Anastasia was treated to a champagne toast by her colleagues in the violin section after Thursday night's concert. 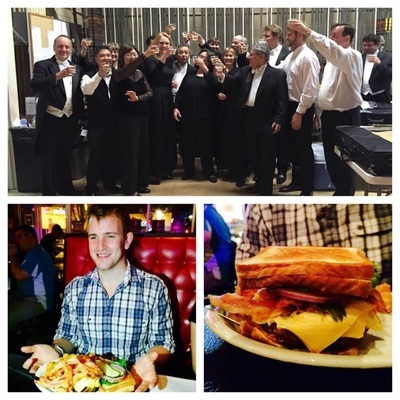 Stuart, in the tradition of all newly-tenured brass players in the ASO, had the Double Bypass burger at the Vortex--two grilled cheese sandwiches as buns, 3 fried eggs, 5 slices of American cheese, 5 slices of bacon, and a half pound burger over a bed of tater tots. — with Stuart Stephenson, Ronda Respess, Anastasia Agapova, Raymond Leung, Carol Paine Ramirez, Denise Smith, Judith Cox, Sandy Salzinger, David Coucheron, Justin Bruns and John Meisner. This week's #MusicianMonday spotlight is on trumpeter Mike Myers. This is Mike's first season as a tenure-track member of the ASO, but he's quite a familiar face to our audiences--he has had two one-year contracts with us in recent years, and won the audition for a permanent position at the end of last season. Mike's official job title is "Utility Trumpet." So, uh, what exactly does that mean, Mike? "My job as utility trumpet is first and foremost a support role. Occasionally I’ll get a small solo, which is always fun, but my primary goal is to shadow and support our principal players, helping them and the section sound best as a whole. Depending on the repertoire, I also get to bridge the gap between the trumpet section with the horns and trombones. There is a saying that “the whole is greater than the sum of the parts.” In my opinion, this is the essence of teamwork. For section players, this means you have to check your ego at the door and “lose your identity” to serve the music. This is not always easy, especially for trumpet players! After being lucky enough to play two one-year contracts here, it’s wonderful to be a tenure-track member of the Atlanta Symphony Orchestra! There is a tradition of excellence here and I feel blessed to be a part of it." 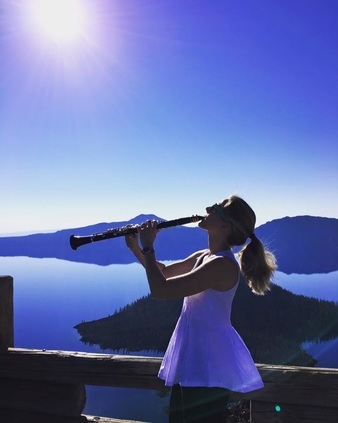 This week's #MusicianMonday spotlight is on principal clarinetist, Laura Ardan. Here, Laura talks about her first glimpse into the world of orchestral music, and about how much we musicians value an audience's personal connection to what we do. "Where I grew up we only had bands in our public schools. When I was 10 someone took me to the Niagara Falls Philharmonic. It was a semiprofessional Orchestra and they were playing Tchaikovsky. I remember every moment of that first encounter with great orchestral repertoire….all my naïve impressions are still intact. I was fascinated by the bowings in the string section, the incredible range of dynamics and the different palate of sounds coming from this group of people with instruments. I had never felt such community and it was all through my ears and eyes. I didn’t understand but I knew it was important, really important. When I look out to the audience I always wonder….what are they hearing? Is it their 1st or 300th Symphony Concert? What will they feel tonight and where in the music? I love to talk to audience members afterwards. They are often shy about their impressions starting with 'well, I really don’t know a lot about classical music….’ And I think ‘Oh wonderful. I can’t wait to know what they heard’ No matter how much or little one knows about classical music it is always important, really important." This week's #MusicianMonday spotlight is on Ronda Respess, a member of our second violin section. Ronda has a harrowing story about her audition to become a member of the ASO! "I have been in the ASO since Robert Shaw’s second year. When I auditioned, there was no such thing as a list of orchestral excerpts to practice. The candidates were just expected to play whatever was put in front of them. Michael Palmer (former ASO assistant conductor, now conducting the orchestra at Georgia State University after an illustrious career with many professional orchestras) was my proctor, the liaison between the auditionee and the judges. He just banged out the tempo of Midsummer Night’s Dream on the music stand and I was off and running on a piece I had never seen before! I was so very lucky to have played under Shaw for most of his tenure here, hence developing a strong love of the choral/orchestral literature. The ASO grew and got better every year. Each music director -- Shaw, Levi, Spano, and Runnicles -- put his stamp on the orchestra and now we are the compilation of many years of incredible leadership." 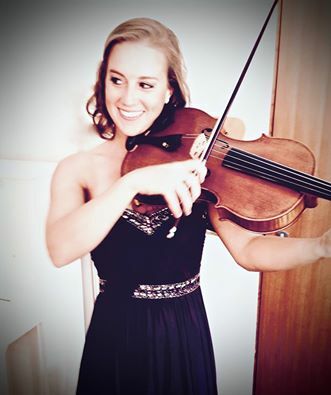 Our first spotlight is on Kenn Wagner, a member of the first violin section since 1995. Here, Kenn describes what makes this profession so special. "I look around me in the orchestra sometimes in awe of my colleagues. We are the musical thread woven into the people of Atlanta whether you are a classical music audience member or not. We spark your curiosity as a child at our children's concerts, nurture you with your abilities to flirt with sound. In your adolescent years we accompany your rock stars and R&B artists, many times anonymously. After college, we open your doors to romance culminating in playing at your weddings. After you are parents, we teach your children world-class lessons supercharging their brains, and when they go off to college, we help you... rediscover your spouse . We are in the jingles you hear on TV and radio as you catch that comfortable midlife nap, and we make you proud to be an Atlantan by bringing home Grammy after Grammy. As we all grow old together, and have to eventually say goodbye, we play you the most elegant exit music delivered with love, soothing your family. We are deeply committed to this community. I see it with every note on this stage in your Arts center, when we play at Carnegie Hall, or represent you all over the world. Check in with us soon otherwise it's like never meeting that person could have changed your life. "